Cristina Brinkerhoff in her Braintree home. Cristina Brinkerhoff yearns to share the excitement over her pregnancy with her parents. But she canceled a trip to visit them, for the sake of her baby. Brinkerhoff’s parents live in Brazil, where mosquitoes are spreading a virus suspected of causing a devastating birth defect: small heads and underdeveloped brains. Her parents know someone whose daughter recently gave birth to a baby with this affliction, called microcephaly, so there was no argument when she told them of her decision. “My mom has seen it,” said the 36-year-old, who lives in Braintree. An obscure virus called Zika — never before known to cause serious illness and with no medication to treat it and no vaccine to prevent it — has sparked fears and disrupted lives the world over. Concerns about the virus appear likely to affect travel plans for Latin American and Caribbean immigrants living in Massachusetts and for pregnant women across the United States planning winter getaways. In Brazil, where the virus arrived last spring, nearly 4,000 children with microcephaly have been born since October 2015, compared with 147 in 2014. Researchers found Zika virus in the amniotic fluid of pregnant women carrying babies with microcephaly, in the brains of two babies born with the condition, and in fetal tissue from two miscarriages. Those studies don’t prove Zika causes microcephaly but provide strong circumstantial evidence. Zika causes symptoms — fever, rash, joint pain, and red eyes — in only 20 percent of those infected, and they usually get better within two to seven days. The US Centers for Disease Control and Prevention is advising pregnant women to consider avoiding travel to Brazil and 13 other countries and territories in Latin America and the Caribbean: Colombia, El Salvador, French Guiana, Guatemala, Haiti, Honduras, Martinique, Mexico, Panama, Paraguay, Suriname, Venezuela, and Puerto Rico. On Friday, the CDC added these locations to the travel advisory list: Barbados, Bolivia, Ecuador, Guadeloupe, Saint Martin, Guyana, Cape Verde, and Samoa. “It’s another situation where the way we live, how we travel . . . has brought us another virus,” said Dr. Alfred DeMaria, Massachusetts state epidemiologist. Dr. Pieter Cohen, a Somerville internist with thousands of Brazilian patients, said so far none has come to him with concerns, but he expects soon to have questions to answer and dilemmas to resolve. For many pregnant women, he said, staying in the United States might not be an option. “So much of their lives and families are in Brazil,” and often they have sick relatives or other family obligations, Cohen said. Those who must go abroad will need to “take aggressive action to avoid mosquito bites,” he said. The Aedes aegypti mosquito is a vector for transmitting the Zika virus. Federal health authorities are advising medical professionals to ask all pregnant women where they have traveled recently. Those who have visited an area where Zika is prevalent and who have two or more symptoms of Zika infection should be tested. DeMaria said the state laboratory cannot perform the test but will probably gain the capacity soon; for now, samples would have to go to the Centers for Disease Control in Atlanta. The guidelines recommend that pregnant women testing positive for Zika undergo regular ultrasounds to monitor their babies’ growth. Officials at Cambridge Health Alliance, where Cohen works; Boston Medical Center; and MetroWest Medical Center in Framingham — all of which treat a sizable proportion of Latin American immigrants — said they have not seen patients with symptoms of Zika or received many questions from patients. But all have circulated federal health guidance to their staff. Because the virus has only recently received widespread attention, Brazilian community leaders in Massachusetts have not detected broad concerns. “The information is still being disseminated to the community here,” said Dr. C. Eduardo Siqueira, a professor at the College of Public and Community Service at the University of Massachusetts Boston. But to physicians such as himself, Siqueira said, it was a shock to learn the virus has apparently damaged fetuses. “Nobody saw it coming,” he said. 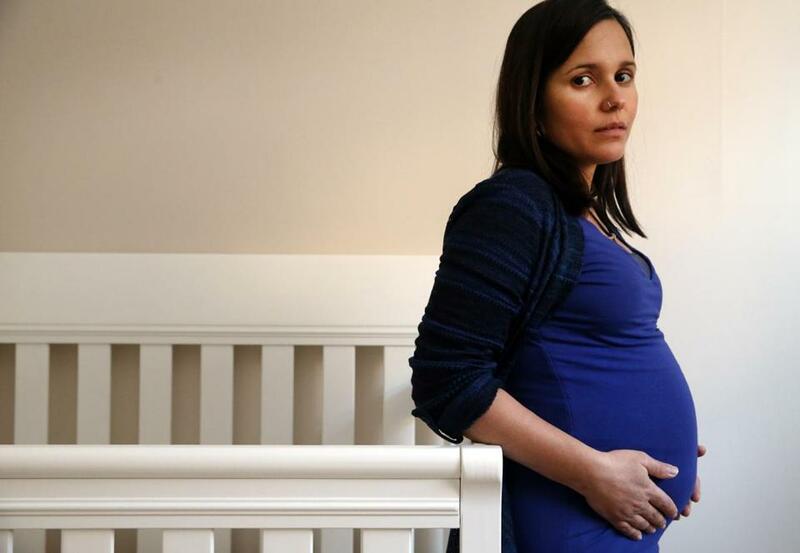 Dr. Katherine Economy, a maternal-fetal medicine specialist at Brigham and Women’s Hospital, said microcephaly is rare and has multiple causes, including genetic abnormalities and infections. An unusually small skull is detected through an ultrasound at about 18 weeks, but could be picked up as early as 16 weeks if a doctor is looking for it. A small skull often means a small brain, which results in a range of problems, including developmental delays, but Economy said little is known about how the Zika-exposed children will fare. Zika cases have already shown up in the United States, including in Hawaii, Illinois, and Florida, all among people who were bitten by mosquitoes overseas. Originally from Africa, Zika thrives on human activity. The mosquitoes that carry it evolved to live in the small puddles that people tend to leave around their houses, in buckets and rain gutters. They bite aggressively during the day. If the virus establishes itself in the United States, it will be because of the interplay between insect and human. If a person sick with Zika comes to the United States and a mosquito bites within the first week of illness, that mosquito could transfer the virus to someone else. The virus can also be transmitted from mother to child during pregnancy, and some evidence exists that Zika might be sexually transmitted. It’s usually the Aedes aegypti mosquito, prevalent in the Southeastern United States, that spreads Zika. A second mosquito that carries it, although less commonly, is Aedes albopictus. 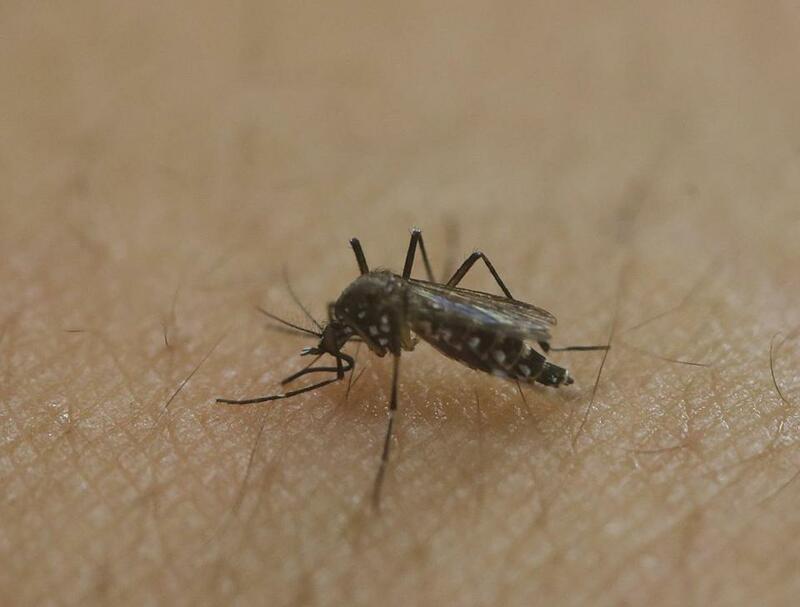 This breed tolerates cooler temperatures and has been found in Massachusetts, said Richard Pollack, a public health entomologist and chairman of the Massachusetts Mosquito Advisory Group. The Aedes albopictus mosquitoes arrived in tire casings brought into the state for processing; their eggs survive the winter. The usual methods of controlling mosquitoes — poisoning their larvae and spraying pesticides at night — are less effective on this breed, Pollack said. There is no suggestion those bugs are spreading Zika in the state.